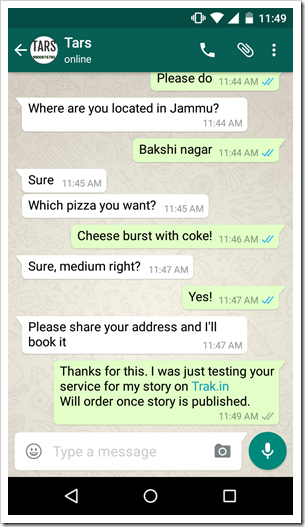 TARS, a startup based out of Bangalore, India has created a Whatsapp based personal assistant that will answer all your questions, as long as they are within it’s purview. It is a sort of artificial intelligence program which is partially based on the local agents to work. TARS personal assistant is available to you from 10 AM to 10 PM. 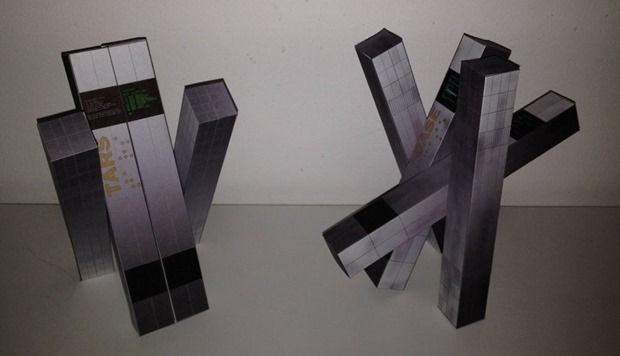 If you are mildly curious of the name TARS – it is essentially the name of a robot in hit Hollywood movie “Interstellar” who helps astronauts in their inter-galactic travels (See image above). In this case, TARS’s backbone consists of local agents who operate the complete system. What you have to do is just add the TARS’s number in your phonebook i.e. +91-9900876785 and just send a ‘Hello TARS’ message. From then on, you can start asking your questions to TARS. As of now the service is free of cost as per the official website. 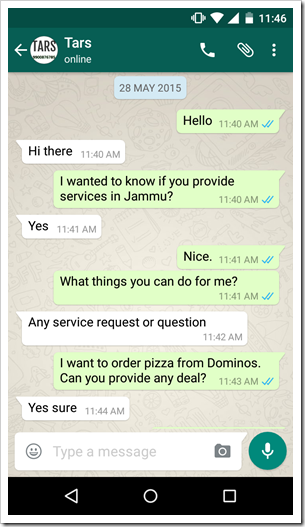 You just need to text your question/task to them and you will end up getting a quick and helpful response from the team. Currently TARS’s database is updated with Bangalore city only but you can still use it if you live in different city. Agents of TARS use Google search to get the best results for you. 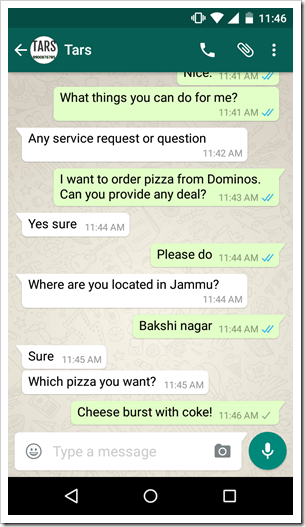 Like you seen in the conversation, ordering a Pizza is also very fun from TARS, you can get a better idea from my conversation with TARS. Interestingly, TARS collects the amount of order from Instamojo directly without any extra charge or commission. WhatsApp has 70 million users in India. There seems to be a big opportunity of business for TARS in near future. Before this, Hike Messenger had also introduced a personal assistant in their app through which user could gather a lot of information about movies, Wikipedia, dictionary, Jokes and a lot of other entertainment things. 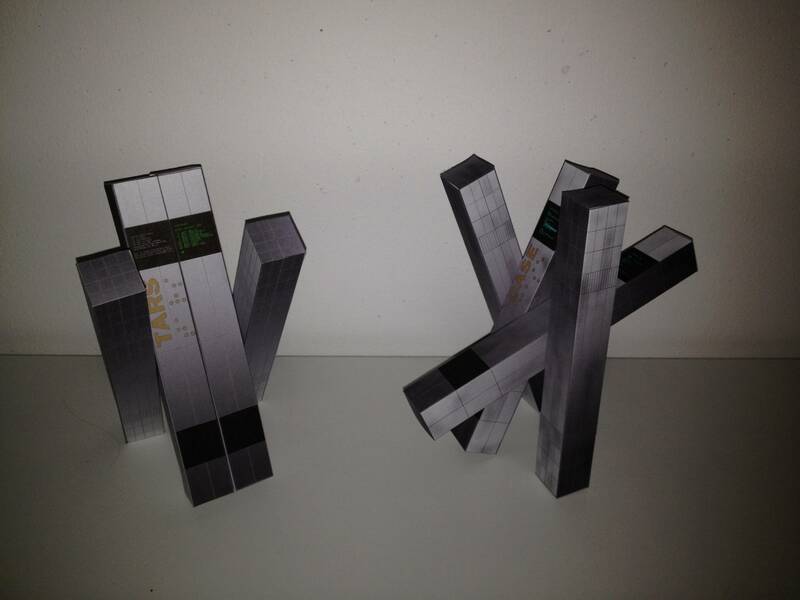 But TARS is has real humans answering your questions and hence gives much useful results. Give TARS a spin, and let us know what you feel! 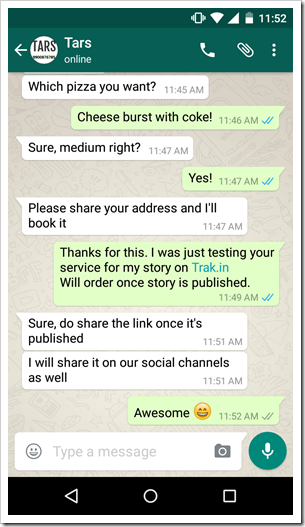 "Meet TARS, Your WhatsApp Based Personal Assistant! ", 5 out of 5 based on 1 ratings. Try adding +91 it will show up in list. Could not find them even after refreshing the contacts. Couldnt find them on whatsapp.